An Uber driver was attacked and his throat was slit by a passenger he picked up Thursday night in the West Valley, police say. 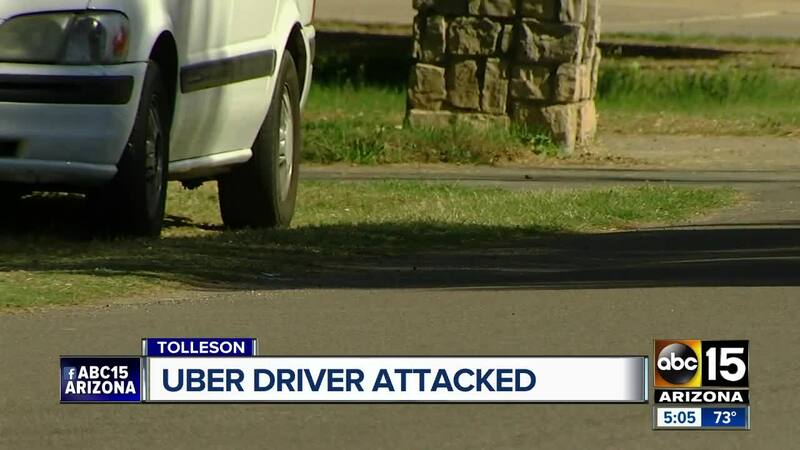 TOLLESON, AZ — An Uber driver was attacked and his throat was slit by a passenger he picked up Thursday night in the West Valley, police say. According to court documents, Tolleson police responded to call around 10 p.m. from a person driving westbound between 91st Avenue and 99th Avenue on the Interstate 10 frontage road. Police met the victim at 99th Avenue and McDowell, where he told police his neck was slit by a customer he had picked up from a Buffalo Wild Wings in Goodyear. After some struggling back and forth, the driver was able to fight off the suspect, later identified as 45-year-old Francisco Diaz, who got out of the car and fled on foot. Officials said the victim was taken to a Goodyear hospital for treatment. According to court documents, the driver's neck had been cut, and he sustained multiple lacerations to his left hand. Officers went to the Buffalo Wild Wings where the Uber driver picked up Diaz and questioned staff members, who remember Diaz’s odd behavior at the restaurant a few days prior to Thursday night’s attack. One staff member recalled Diaz had been at the restaurant on Monday, when Diaz made a female waitress uncomfortable by flirting with her. Police were able to track down Diaz’s name and address from a business card he left with the waitress, and were later able to apprehend him at his home in Goodyear. Diaz allegedly told police he “felt the Uber driver was going to harm him” prompting him to attack the victim. 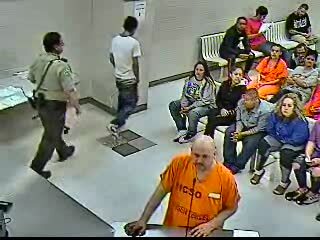 Diaz was booked into the 4th Avenue jail Friday for attempted second degree murder, aggravated assault with a deadly weapon and aggravated assault. 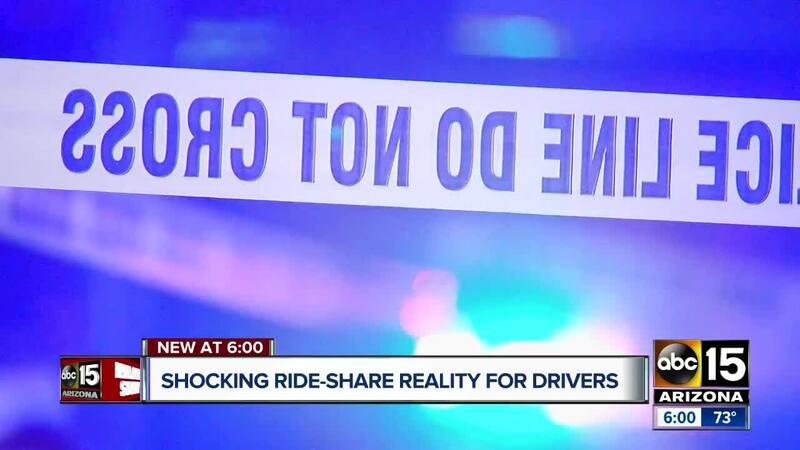 In a statement, Uber called the driver's experience "frightening." "We are relieved he is recovering and stand ready to help police in their investigation," an Uber representative said. This attack comes less than a week after a pregnant Lyft driver was stabbed and killed in Tempe . Her unborn baby was also lost during the incident. Uber and Lyft drivers have raised concern about their safety after the increase in reported attacks, even saying they are considering carrying weapons for protection. Currently, both Uber and Lyft have policies against carrying weapons on the job.